F-Stops in Photography is a measurement of any one of the three pillars of photography, Aperture–Shutter Speed–ISO. Whenever we use manual mode, F Stops is a basic thing one should know in order to get correct exposure. So here we will be Understanding F stops in Photography and Exposure. In a simplest of terms, lets assume an example. If you want to increase exposure by one stop, you will double the exposure. 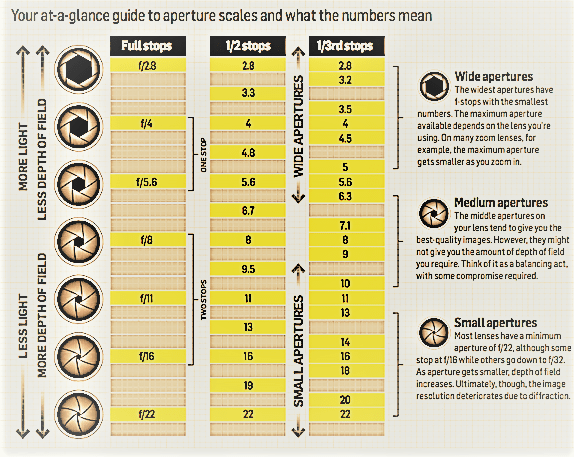 So, suppose your aperture is f/4, shutter speed is 1/100 and ISO is 100. If you keep the aperture and shutter speed same but you increased ISO to 200, you have increased the exposure by one STOP. Doubling the ISO also doubles the exposure twice as sensitive, Hence jump in stop. lets see more on F Stops in Photography see How to Understand F Stop in Your Camera. It can be little confusing sometimes but but it’s important to know and Understand F-Stop in Your Camera and how its related to exposure and bokeh effect in your image. You should start to shoot in manual mode more often, you will become more in charge of looking after how the camera exposes. Knowing what one stop is for the shutter speed, ISO and, most importantly, aperture will affect final outcome of image. Suppose you are shooting at f/2.8, at 1/100 of a second, with an ISO of 200 but you want a shallower depth of field. You know that widening your aperture to f/2 will produce a shallower depth of field but it will also double the amount of light that’s entering your lens. You have jumped one stop with your aperture and made the exposure too bright so you have to counter this with shutter speed or ISO. To do this, you can halve the ISO to 100 or double the shutter speed to 1/200 of a second. This is easiest one 🙂 . One stop up from ISO 100 is 200 but one stop up from ISO 200 is 400. The intervals are not equal but, instead, the ISO doubles between stops. So we are increasing f-stop by one stop in both the cases. The majority of the time when you use your camera, you’re shooting at a fraction of a second. If you shoot at speeds of 1 second or longer, the same principle as above applies. You simply double the time from 1 second to 2, then from 2 seconds to 4. When shooting at a fraction of a second, such as 1/200, to double this number, halve the denominator. Its simple math, multiply this number by 2. If you are new to photography you might find this confusing but soon you will be used to it. So, 1/100 is twice the length of 1/200 so that’s one stop and the exposure is doubled. Similarly, 1/50 is twice the length as 1/100 and so on. I’m afraid this is where things get a little bit complicated and somewhat mathematical. If you use the logic that I have explained above, you would probably assume that f/2 is twice the exposure of f/4. Sadly, this is not the case, and f/2 actually allows in four times as much light as f/4. f/1.4, f/2, f/2.8, f/4, f/5.6, f/8, f/11, f/16, f/22. 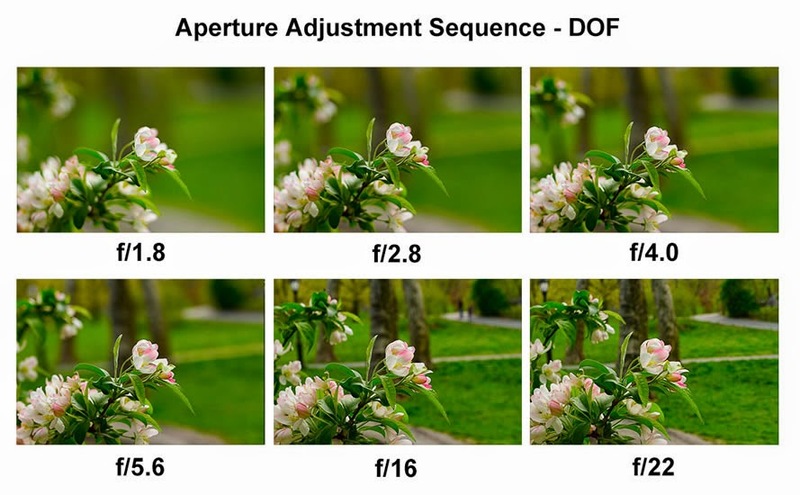 As you tweak your camera’s aperture, you’re altering the lens’ depth of field. Depth of field. When subjects both near and far are relatively crisp and sharp, we say say scene has deep depth of field. Shallow depth of field indicates that only part of a scene is in sharp focus. Aperture also controls the exposure along with the depth of field. If you are changing from f/2 to f/2.8, you are halving the exposure but, to do so, you’re halving the area of the open aperture in the lens. Aperture can differ from scene to scene. Wide apertures are great for isolating subjects from their backgrounds, but images can be softer at these settings due to an effect known as spherical aberration. This is mostly suited for portraits and scenes where we want just subject in focus nothing else. On the other side, wide apertures can also be tricky to use in bright conditions, as your camera may not be able to use a fast enough shutter speed to keep everything exposed correctly, which leads to overexposed images. For understanding F stops in Photography and Exposure you can also go through this article to understand Exposure Triangle in detail with example.